Usually the terms "Fuel Injection" and "Simple" don't appear in the same sentence. Our Engine Wiring Harnesses change that. 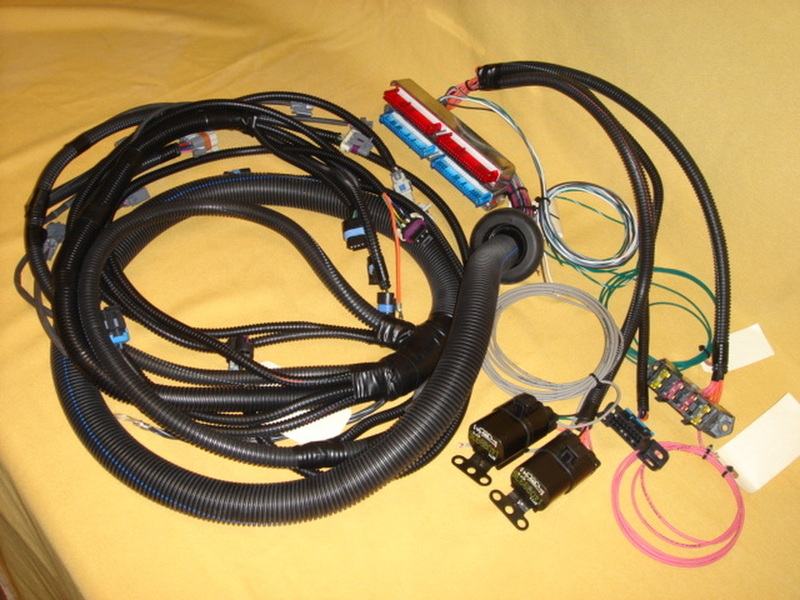 ​If you don't see the wiring harness you need listed below, please call us - we have harnesses for almost all Chevy V8 and V6 gas engines, and for all LS-x based combinations from 1998 - 2017. This harness replaces the factory GM crate Ram Jet engine harness and MEFI ECM. It uses a tuner friendly production 1991-92 Tuned Port ECM and PROM. Call for details. 1996 - 97 LT-1: We prefer to run these engines with a 1994 - 95 PCM, service number 16188051 or 88961150. (This requires using a 1994-95 Knock Sensor). However, if you have the PCM from the donor vehicle, we can program it at an additional cost. *We don't have access to the Allison specific connectors, so the transmission and Trans Control Module connectors must be customer supplied (used is OK). If your rear axle ratio and / or rear tire diameter is different from the donor vehicle, the Transmission Control Module will require programming at additional cost. Most projects require Engine Computer reprogramming before your engine will run. Custom PCM programming is available for your computer when you buy your harness from us. If you don't see the harness you need listed, please call us - we have harnesses for almost all Chevy V8 and V6 gas engines, and for all LS-x based combinations from 1998 - 2017. If you need to meet State or Federal Emissions, we can make a "smog legal" harness for an additional cost, typically $100.00. Shipping varies by location, International Orders are Welcome. For your protection, we invoice you through PayPal, using any Credit Card. Payment by Check or Money Order is always welcome.